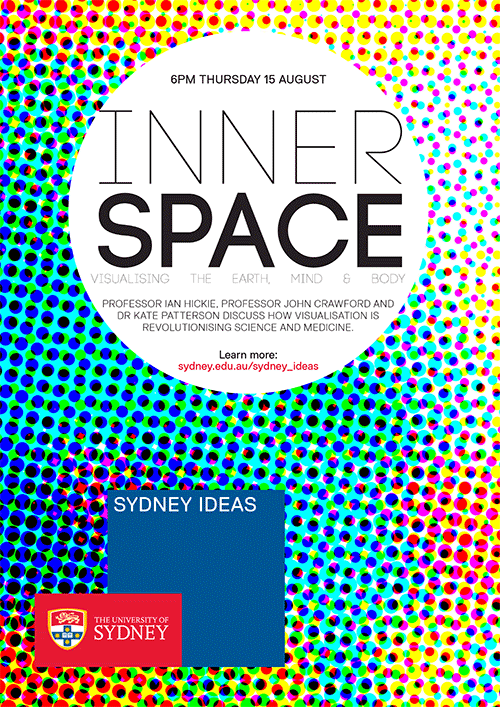 I’m presenting with Prof Ian Hickie and Prof John Crawford at a Sydney Ideas free public event in Science Week. We are going to talk about how visualisations are used to inform research, provide insight and facilitate learning and understanding. For over 2,000 years, artists have illustrated the intricate structure of the body, creating images to record its pathologies and represent medical procedures. Techniques for visualisation continue to revolutionise science and medicine when used in anatomy and pathology and applied to data and complex systems. Join three leading researchers for a discussion about how visualisation reveals the unifying structures of nutritional flows between the earth, the body and the mind. Discover how visualisation creates multi-disciplinary approaches to research, preventative health and clinical treatment.